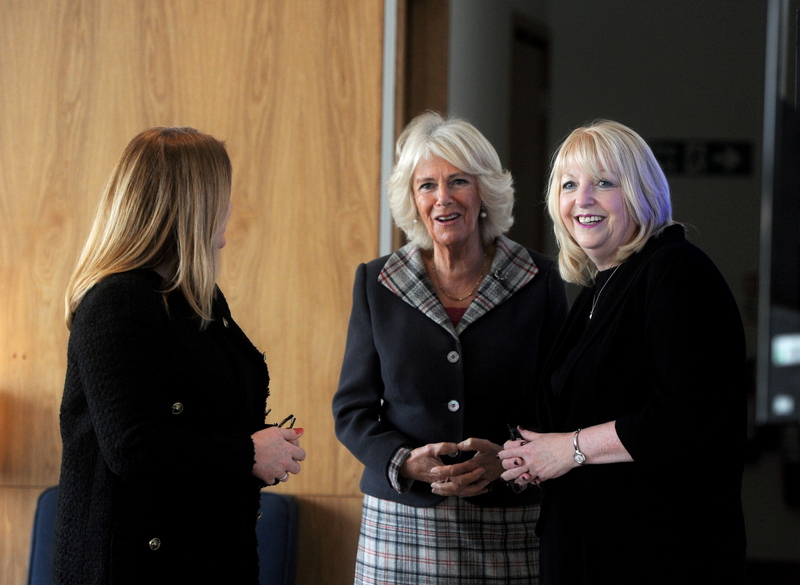 HRH The Dutchess of Rothesay, arrives at Aberdeen Airport to officially open the new BA Lounge. Aberdeen Airport had a royal arrival as the Duchess of Rothesay officially unveiled a new departure lounge, a year after she cut the ribbon on the terminal extension. The facility, which is for British Airways passengers, has been open since May but has now been given the royal seal of approval. During her visit, the duchess met the airline staff and representatives who showed her around the lounge, one of the major elements of the airport’s ongoing upgrade. The 4,090 square foot area has seating and a lobby with views overlooking the runway and will also offer a wide range of food throughout the day. There is also artwork displayed throughout the lounge from local and Scottish artists from the airline’s own collection, including “The Long Winding Shores” by Maddie Rose Hills, inspired by Kinlochewe in the Highlands. The duchess has already witnessed a major part of the airport’s transformation, as she officially opened the new terminal extension last October. A spokeswoman for the airport said: “We’re pleased to welcome the Duchess of Rothesay back to the airport today to open the British Airways lounge. “The Duchess kindly officially opened the first phase of our terminal transformation project last year, and we’re proud to showcase our recent developments as our upgrades continue. The airport upgrade is scheduled to finish next year.